The VS:Classroom is a flexible software application to simulate realistic classroom conditions. It is currently being utilized to train observational and diagnostic skills of teacher trainees by the University of Paderborn, Germany. It is also being used to train children with ADHD in a neurofeedback paradigm at the University of Tuebingen's LEAD Graduate School. The VREFT is a collaborative project between my company Katana Simulations and Denise Krch and her team at the Kessler Foundation Research Center, NJ, USA. We've been funded by the US Department of Education's NIDILRR to develop an executive function training that has relevance for patients' activities of daily living. The project has been a great success so far with extremely valuable insights being gathered through clinical input and user testing with brain-injured consumers. 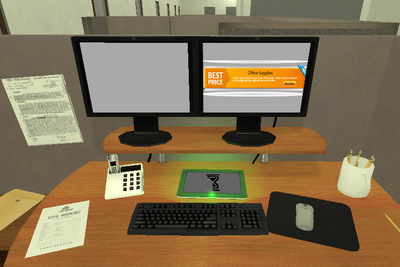 The VREFT is a follow-up project from the initial pilot trial with the Virtual Office Simulation (Assessim Office) that can be seen below. The doctoral research of Sebastian Koenig is a collaboration of the HIT Lab New Zealand, the Psychology Department at the University of Canterbury, New Zealand, the Canterbury District Health Board and the Asklepios Rehabilitation Clinic at Schaufling, Germany. Main goal for his dissertation is the development of Unity-based real-time 3D applications which can be used for rehabilitation of brain-injured individuals. The proposed training software is individually designed for each patient to create relevant task context and content. In addition, Sebastian is dedicated to use computer games for behavioral assessment and quantifying user behavior. At the HIT Lab New Zealand, he utilizes cutting-edge visualization systems (e.g. VisionSpace Theatre), tracking systems for head-, eye- and body movement and the collaborative environment at the HIT Lab NZ to create intuitive, effective user interfaces for healthy and brain injured users alike. 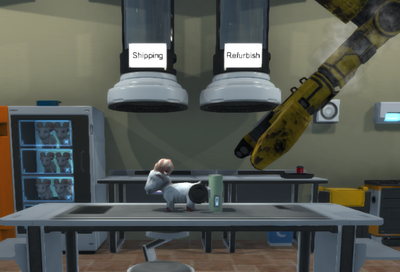 All experiments, applications and data analysis tools are developed using the game engine Unity. A first prototype of the navigation training application was created for presentation at the 2009 CyberTherapy and CyberPsychology Conference in Italy. 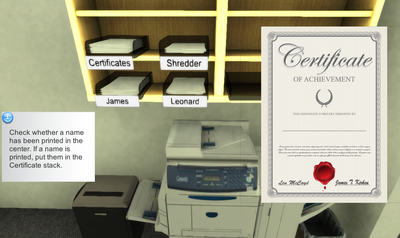 Next step in this series of studies was the validation of virtual environments for cognitive assessment. 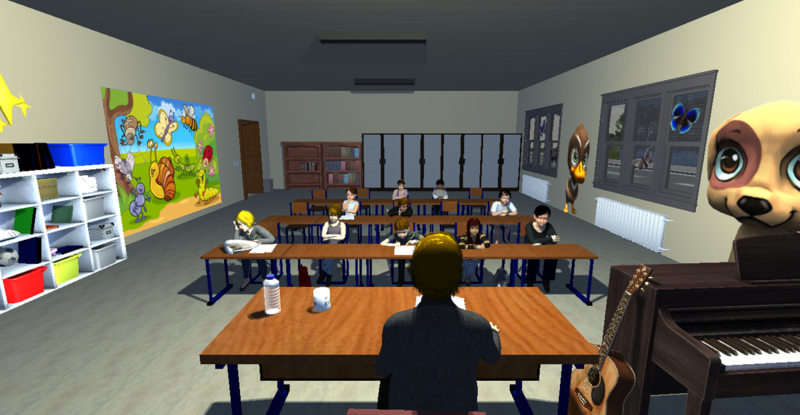 Real-world navigation and virtual navigation were being compared and this study was presented at the 2010 ICDVRAT with ArtAbilitation in Chile and awarded the "Best Student Paper Award" of the International Society for Virtual Rehabilitation. In addition, the main concept of this study, the individualized rehabilitation of patients with neuropsychological deficits, has been awarded with an entrepreneurship prize of the Entré 10K challenge. NZ$1000 have been sponsored towards making this series of studies come true. Thank you, Entré! A further presentation has been given at the Laval Virtual Conference 2011, Laval, France. 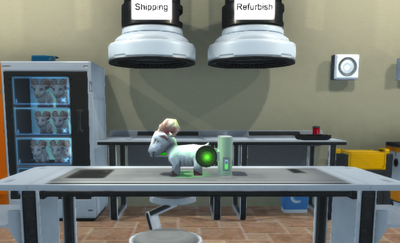 The thesis work "Individual Virtual Reality Rehabilitation" has been awarded the prestigious Laval Virtual Award, category 'Medicine and Health'. The awarded project can be seen here. 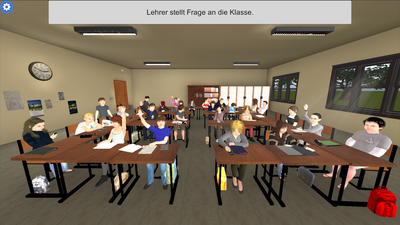 A final presentation of the workflow and technical details of the framework developed in this dissertation has been presented at the International Conference on Virtual Rehabilitation 2011, Zurich, Switzerland. 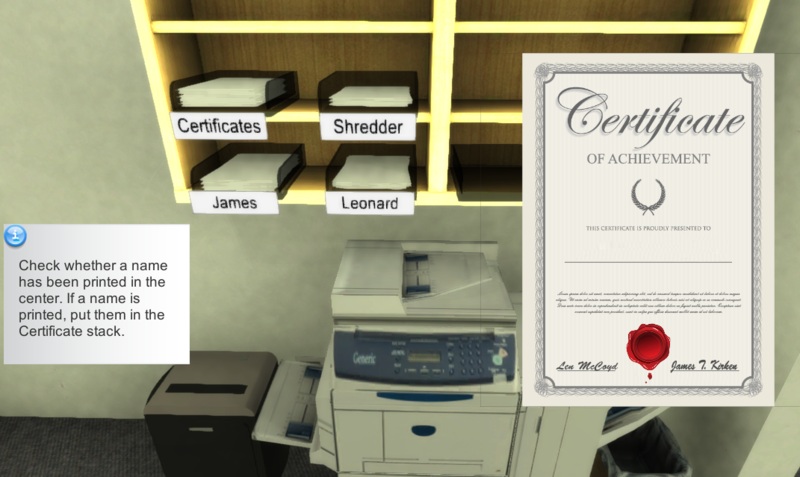 The most recent addition to my series of cognitive tasks in virtual environments is a Virtual Memory Test. An array of target objects is presented from an initial perspective. 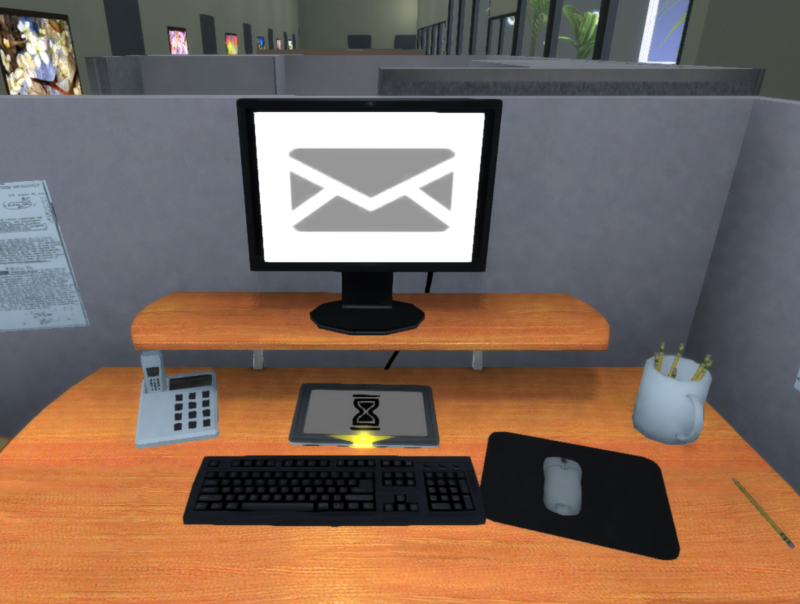 After a learning phase, the perspective is shifted to a new viewpoint and some (or all) objects are moved. The aim is to position all objects exactly as seen from the initial viewpoint. Number of targets, viewpoint positions, and transition between viewpoints can be adjusted to change task difficulty. Several prototypes have already been tested. I am constantly adding features and down the line online assessment with the Unity web player is also planned. See the prototypes in the videos below. By transferring a standardized spatial attention assessment (e.g. Star Cancellation test) onto a computer/projection screen, I am evaluating whether my research participants (i.e. stroke patient) are aware of the whole screen and I can therefore adjust the presentation of critical cues and information to areas which are either attended to or neglected by the user. 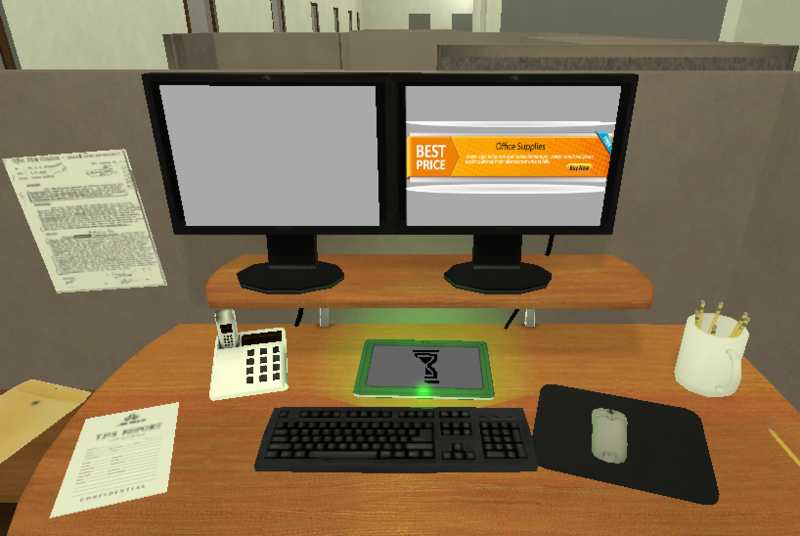 The computerized assessment allows for precise measurement of the user's behavior, including head-movements to scan the screen, mouse cursor recordings, redundant mouse clicks and order of target cancellation. 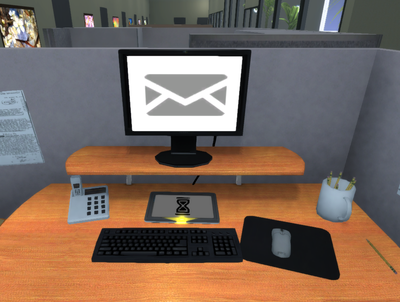 By replicating and extending traditional line bisection experiments in a virtual environment, it is planned to demonstrate that human visual attention is comparable to real-world attention even when your surroundings are nothing but a flat (or stereoscopic) projection on a flat screen. This by itself would already lay the foundation for more exciting experiments in this field. To push this topic beyond anything currently possible, virtual environments enable us to ignore laws of physics or even some restrictions of human anatomy. Getting this past human ethics (IRB) is probably the biggest challenge of it all.